Three days after attacking UNICEF, Nigerian Army wants Amnesty International office closed – Royal Times of Nigeria. The Nigerian Army has called for the closure of the Amnesty International offices in Nigeria, alleging there is credible evidence the organization is working hard to destabilize the country through the fabrication of ‘fictitious’ allegations of human rights abuses against the Nigerian security forces. This comes three days after the army accused UNICEF of aiding terrorism in the North-east. The army spokesman, Sani Usman, alleged in a statement today that Amnesty International had engaged in clandestine sponsorship of dissident groups to protest, as well as unfounded allegations against the leadership of the Nigerian military. 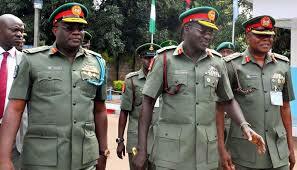 He said the organization is on the verge of releasing yet another concocted report against the Nigerian Army. Mr Usman’s statement comes a few hours after Amnesty International on Monday said the Nigerian authorities’ failure to investigate communal clashes and bring perpetrators to justice has fueled a bloody escalation in the conflict between farmers and herders across the country. The report stated that the conflict has resulted in at least 3,641 deaths in the past three years and the displacement of thousands more. The army had earlier accused the United Nations agency (UNICEF) of encouraging Boko Haram terrorism in the North-east. 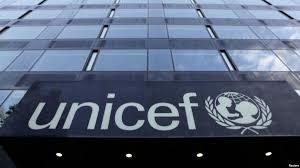 The army on Friday said it had ‘suspended’ UNICEF’s activities in the region based on its allegations which it did not provide evidence for.